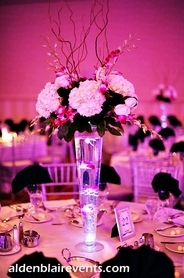 Our tall acrylic vase is the perfect starting point in designing a centerpiece or tablescape! 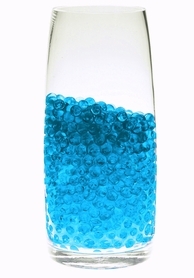 At 18" tall, this heavy-duty, clear vase has tons of possibilities and using it with our other square and round acrylic vases, your design will have style, depth and variety. Simply add colorful ostrich feathers or sprays, LED light strands, tulle, water pearls or cracked ice, an LED candle, crystal garland strands or bright acrylic pendants and you're well on your way! 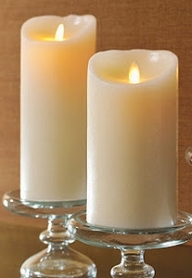 This lightweight vase is 4.5" wide at the bottom and it angles up to 5.75" at the top. The sides are 1/8" thick so it's no problem to flip it over to create a riser or arrange multiple vases side by side to create a large riser or an elaborate pattern. Why spend hours looking around for design inspiration when you can spend minutes by starting your concept with our large selection of versatile acrylic vases. Hey event coordinators, party planners, hotel, restaurant, club & retail store managers� You're probably short on storage space, right? And when you need extra arms to carry your supplies, where are those helpers? Well, we gotcha covered! The beauty of these vases is that they're stackable! Yep, they nest inside each other to reduce valuable storage space and to ease transportation!